Polish Television in Lithuania – where does it head? Project of broadcasting TV programs from Poland as a counterbalance for propaganda distributed by Russian channels has been announced by the May 3 Group in Seimas in Autumn last year. Politicians agreed that inhabitants of Vilnius Region need an access to polish informative broadcasts, but Lithuanian Radio and Television Centre (Telecentre) prepared two projects of broadcasting polish TV in Lithuania. According to the first project, channels TVP INFO, Kino Polska International, Kino Polska Muzyka International and Belorussian channel Belsat would be broadcasted in Lithuania. 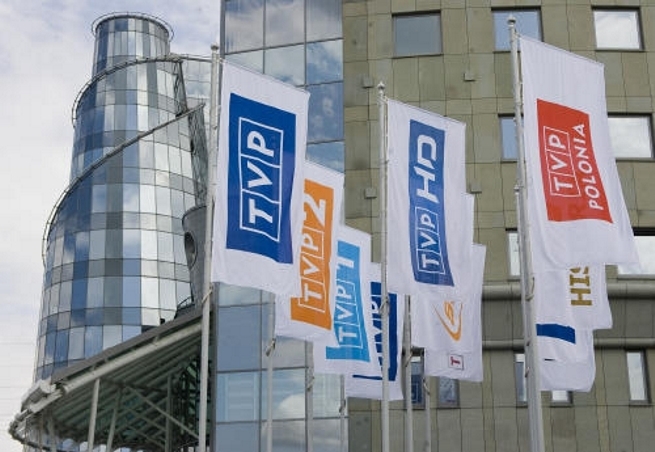 It is not possible to freely broadcast channels like TVP1, TVN or Polsat, because they do not have license to broadcast foreign films and channels on Lithuanian territory. It is worth mentioning that most of these channels are entertaining. TVP INFO is the only informative channel listed in the project. Channel Kino Polska International broadcasts film in Polish language for Polish Diaspora in the USA and Kino Polska Muzyka International is a music channel. Questioned project is broadcasting Euronews in Russian. Lithuanian TV has enough of Russian channels. To compare, in the set of channels of C-Gates company, there is 9 Russian channels, in Balticum – 12 and in Fastlink – over 40 channels. There are many manuals on the internet, with ways of watching IPTV (online TV) for free. Such ‘sets’ offer from 130 Russian channels. The situation of polish channels differs. Polish broadcasters code programs, so pirating is nearly impossible. But from time to time there are adverts offering satellite television with set of polish channels without monthly charge. Such practices are illegal, because they base on breaking cipher code. The only legal way for polish channels is subscribing internet service called IPLA TV (Cipher Polsat) which for 5.48 Euro offers channels Polsat, Polsat News HD, Disco Polo TV and Super Stacja. The devil is in the detail, because broadcasting these channels needs installing of IPLA application, permanent access to the Internet and smart phones, tablet, computer or Smart TV, which is not available for people without Internet access of seniors. European Foundation of Human Rights (EFHR), which since 2010 fights against disobeying rights of national minorities in Lithuania reminds, that polish channels in Lithuania (besides TVP Polonia, TVP Historia and TVP Kultura) in 1994 disappeared from free access and in 2000 stopped being broadcasted on Lithuanian’s territory. However, in the Lithuanian National Radio and Television (LRT) since 1988 to 1992 broadcasted polish auditions, like Panorama Tygodnia, since 1991 – 1992 – Panorama Tygodnia and dziennik, since 1992 to 2002 – Rozmowy Wileńskie (weekly), since 2002 – Albumy Wileńskie (weekly).